One of my insurance colleagues in the estate-planning area points out two critical issues we should be concerned about: dying too soon – or living too long. Naturally, most of us would find dying too soon a much bigger concern. 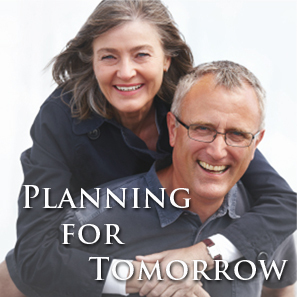 If you are worried about the economic implications of death, life insurance is a good remedy. However, living to a ripe old age may bring an unanticipated financial burden as well – especially if convalescent care is required. Neither Medicare or health insurance policies will pay for services provided for convalescent care. Medicaid will step in but only after your own personal assets have been expended. The state of Connecticut is concerned that many citizens will have their savings depleted and will have to resort to Medicaid in the event of a lengthy convalescent stay. Because of this, the state has developed a “partnership” arrangement with certain insurance companies in an effort to encourage the purchase of long-term-care polices. Fortunately, there are a number of very good long-term-care (LTC) insurance policies that will provide per diem funds for this type of care. Many contracts will reimburse for care in your own home if you choose not to go to a facility. Some will pay for modifications such as ramps, a remodeled kitchen or a modified bathroom. Many people procrastinate over purchasing long-term-convelescent policy because of the expense and the thought that ending up in a nursing home is “unthinkable.” If you wait too long to invest in a LTC contract, the premium will be prohibitively expensive. There is a big in your mid-60′s as opposed to late 70′s. It’s easier to think of your premiums as buying a “reserve”: $1,800 a year will buy a “reserve” of up to $365,000 (a contract for 5 years at $200 a day) for someone in their mid-60s.